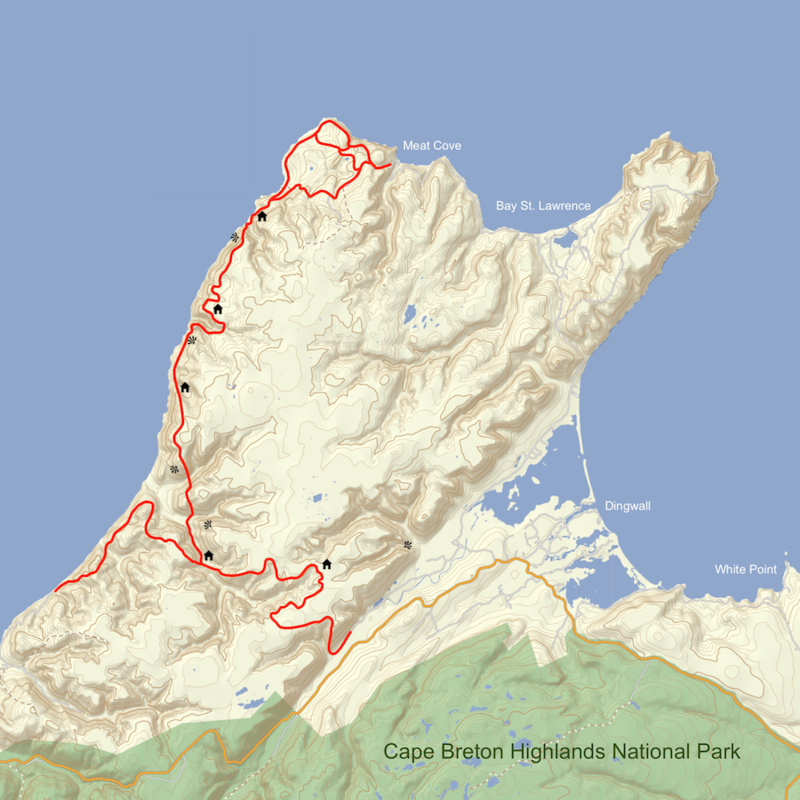 Building a remote, long distance hiking trail is a significant undetaking. It requires a passionate group of volunteers who are willing to commit themselves to a long term project. The Seawall Trail Society - a non-profit, community driven enterprise - was formed to facilitate this process. The Society's mandate is to develop walking assets in Northern Cape Breton by working closely with all stakeholders. 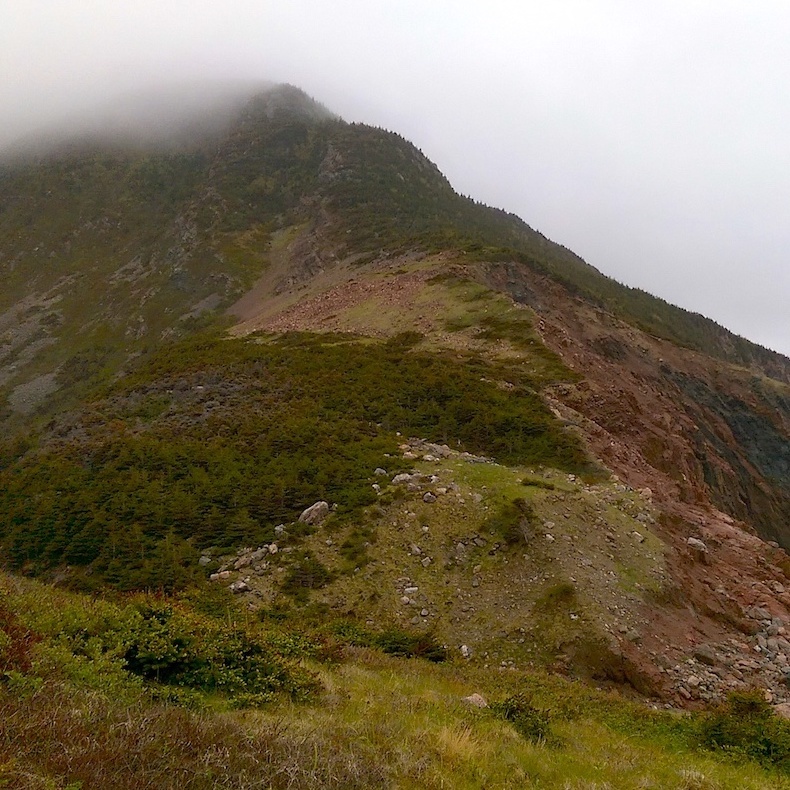 The future Seawall Trail is largely bound by the Pollett's Cove Aspy Fault Wilderness Area. Development in a protected area requires a special process. 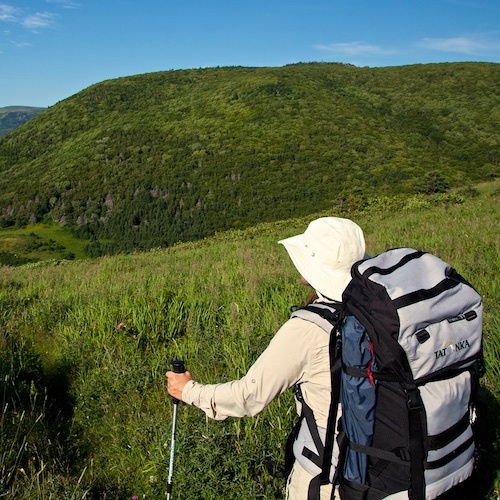 This Project Overview gives a quick idea of the Society's vision, what's required to build a trail of this magnitude, and the special processes required to construct trails in Nova Scotia's Wilderness Areas. Make tracks in rugged land where few have walked before. Moose roam the woods. Whales frolick offshore. Eagles own the sky. You. The black of night. The only lights? One hundred billion stars. An untamed coast. Old growth forests. Blazing sunsets. A "Wow!" around every bend. Hike independently, or hire a guide for your epic adventure. Hard working. Fiercely independent. The nicest folks you'll ever meet. The Seawall Trail will be a five-day, forty-eight kilometer wilderness hike. The main coastal route will travel from south to north and will expand upon existing, historical trails (with plenty of new trail added). An east-west inland spur trail will begin near Cape North. Trailheads on the main and spur routes will connect the trail to communities in both Victoria and Inverness counties. 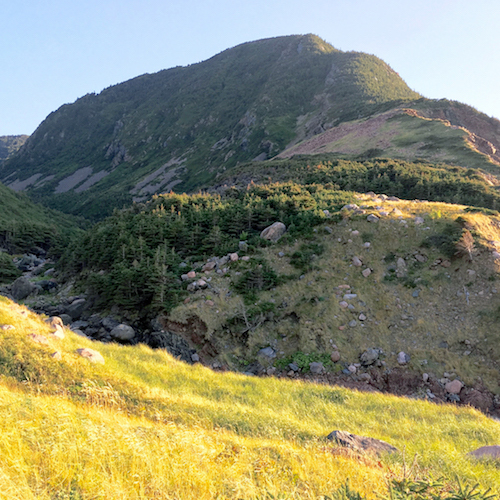 There will be a series of day loops integrated with the northern portion of the trail (out of Meat Cove) that will also take advantage of existing trail systems (the current Lowland Cove and Cape St. Lawrence day hikes). Accommodations will be hut based and users will be charged a fee to stay. Revenues from accommodations and trail access will be used to maintain and service the path, to hire staff and to fund trail promotion and administration. After lengthy evaluation, this model was established as the most sustainable option. Hikers will be supplied and sites will be maintained by established local guides and outfitters. The trail will be located in a protected area with limited to no vehicle access. Motorised access is possible via the ocean. A 2014 report examining the socio-economic impact of the Overland Track (Tasmania, Australia) demonstrates the economic potential of a world-class trail. Hiked by almost 8000 people a year, the Overland generates over $16 million annually in direct and indirect expenditure, sustains over 80 full time equivalent jobs, supports dozens of businesses and is self-sustaining; annual revenues from trail fees, site fees and merchandising are used to maintain the trail and employ staff. The Seawall Trail also has tremendous potential to generate millions of dollars in economic activity, create new jobs and support small businesses. Local communities can provide the following services: access and fee administration; parking and car shuttles; equipment rentals; provisioning and supplies; boat transfers; pre- and post-hike dining and food services; visitor information and souvenirs; accommodations in motels and campgrounds; and general support for visitors before and after their hikes. The economic impact will be felt province-wide, however much of the benefit will accrue to Northern Cape Breton, an area in need of economic growth. Like the Skyline Trail, the Seawall Trail will become part of Nova Scotia’s brand and will provide a differentiating identity when compared to other locations. Local residents will develop a sense of pride and ownership; they will associate their success with the success of the trail. Other benefits include: opportunities for increased health and wellness through active living; research and educational programming by universities, community groups, governments and First Nations; improved access for participation in traditional activities; opportunities in capacity building in the tourism, recreation, justice and community sectors; and potential winter tourism. 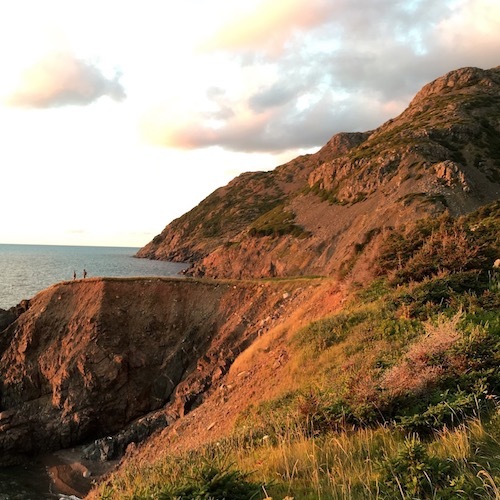 The Seawall Trail Society is following Nova Scotia Environment's Ten Steps to Developing a Hiking Trail in a Wilderness Area, which guides trail building groups towards successful completion of trails in Wilderness Areas.  However, for general purposes the project can be broken down into three basic stages. Planning and development includes all activities before any actual construction begins: public consultations; trail management agreements; fundraising; trail development plans; flagging and alignment; initial marketing; and other planning activities. It is estimated that Stage One will cost between $75,000 and $125,000, depending on the division of labour (consultants versus the use of volunteers) and is currently ongoing. The Society has raised the necessary funds through private fundraising campaigns, corporate donations and grants from various levels of government. Construction involves the actual building of the trail and any associated infrastructure: parking facilities, signage, huts and tent sites, bathroom facilities. Costs associated with this stage are captured in the Proposed Trail Development Plan. Trail maintenance is a critical activity and incurred costs depend largely on the initial quality of construction and volume of foot traffic. Other jurisdictions successfully maintain their trails by reinvesting income from fees and merchandising and the Society also plans to employ this model.